Dinosaur Time Machine incorporates up to date science and discoveries made about dinosaurs and the world that they lived in, and presents it in a fun and highly visual way, incorporating circus, puppetry, simple narrative and imaginative play in this unique educational theatre production, aimed at children aged 3-9. "It is educational, well done, and extremely entertaining" Global Media Post 2016. "Dinosaur Time Machine isn't your everyday dinosaur show. 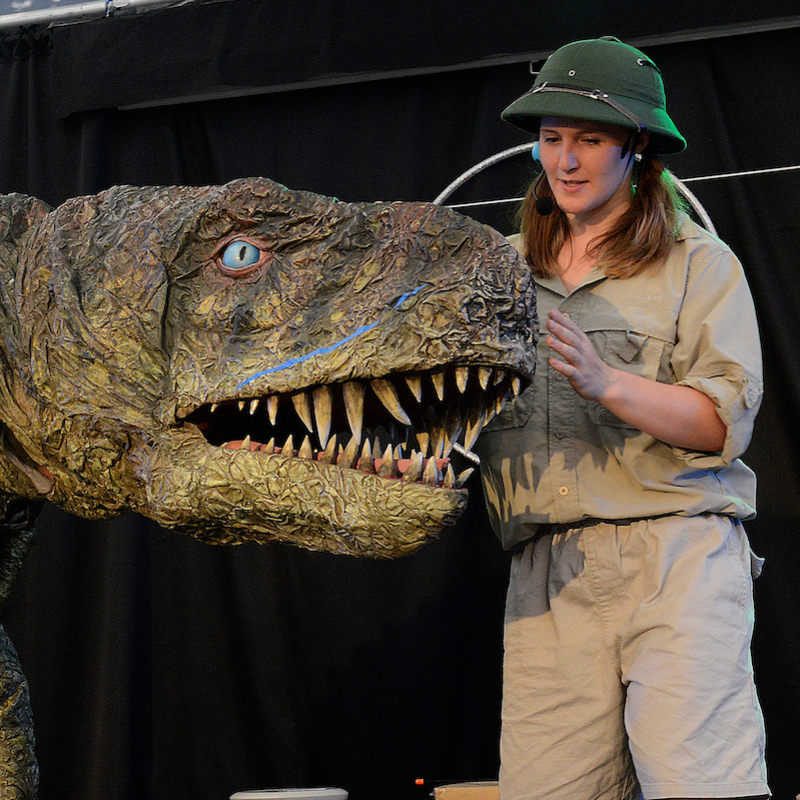 It weaves factual information into the fun... the charm of Dinosaur Time Machine lies in its ability to convey through simple means how science works" Adelaide Advertiser.